In March 2014, an outbreak of Ebola spread from south eastern Guinea to Sierra Leone, Liberia and Nigeria. In early August, the World Health Organization (WHO) declared the Ebola crisis an international public health emergency and scaled up an international, regional and national campaign to bring the outbreak under control. 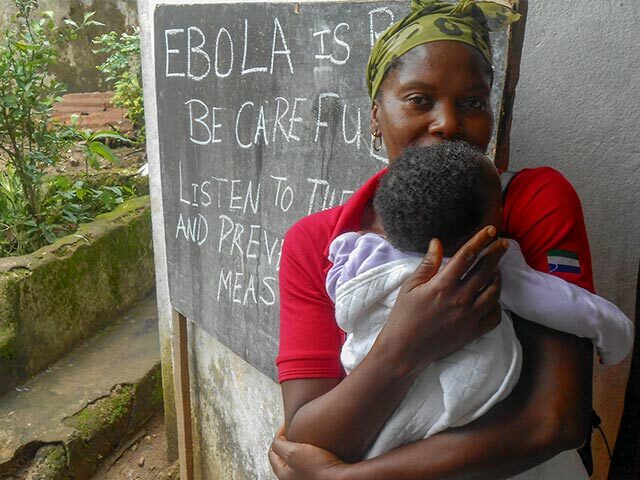 Countries across West Africa launched emergency response plans and took action in an effort to contain the disease. Unfortunately, the scale of the crisis far surpassed the response capacity of local authorities and their efforts alone were not enough to slow the spread of Ebola. Every day, the death toll from the crisis climbed higher and higher. Families lost loved ones, and fear of infection had huge impacts on everyday life in affected regions. Since the crisis began more than a year ago, the World Health Organization estimates the number of cases of Ebola in Guinea, Liberia, and Sierra Leone at close to 28,000 people, and approximately 11,000 deaths (WHO, August 2015). As there is presently no cure for Ebola, the response to the crisis focused on containment and prevention. Humanitarian Coalition members have worked in the region for decades and have been present in many of the communities threatened or affected by the Ebola outbreak. All focused their responses to the crisis on stemming the spread of the disease through hygiene promotion and awareness-raising about the transmission of the virus. In collaboration with local authorities and partner health organizations, our members’ activities included: community outreach programs, radio information broadcasts, health posts, the distribution of hygiene kits, child protection, and direct support for families affected by the fallout from this crisis.